SHoWLE kicked off our programing year with a speaker who gave us ideas on how to be a trans ally. We visited the Adams Street Cafe’ and in October we will be discussing Humanism and Politics. We started our regular meetings in September in the Fellowship Hall of the First Unitarian Church of Toledo. The September meeting had Chrissy Hart, a facilitator for the Toledo Area Transgender Support group, speak to us about how to be a trans ally. The resulting discussion helped us better understand an often marginalized group. We also held a members meeting to adopt a revised Bylaws and elect our first Board of Directors. Congratulations to: Doug Berger, Shawn Meagley, Margarette Anne Emery Webster, Larry Brach, and Tim Barger. They will be added to our Governance page soon. Our next general meeting will be on October 13th and will be a group discussion about Humanism and Politics. Although as a group, SHoWLE can’t endorse candidates for political office that doesn’t mean our members aren’t political or don’t have political ideas. We will explore how the conclusions we reach can have political implications and how we as Humanists can be involved in politics and still hold to our principles. In November we will be visited by Monette Richards, is a member of CFI NE Ohio. Her group has hosted the Secular Summit and Lobby Day in Columbus for several years and Monette has been active with Secular Woman. The topic of her talk will be announced soon. 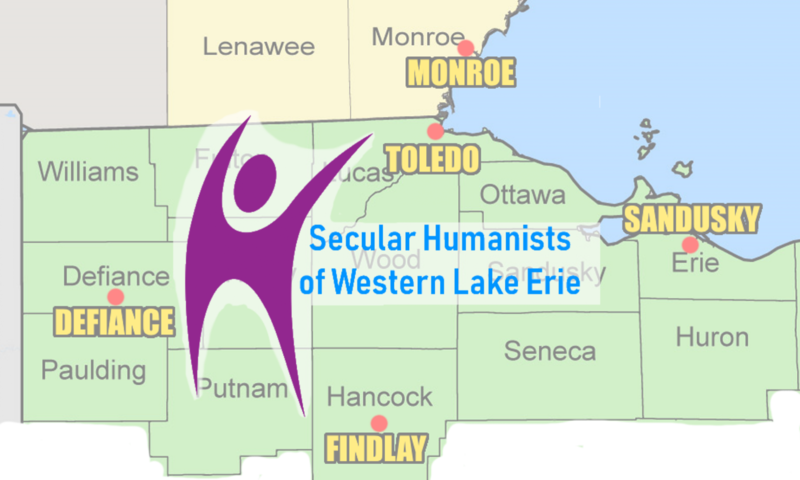 On September 19th we had a Humanist Nooner at the Adams Street Cafe’ in Downtown Toledo. The food was great and reasonably priced. The next Nooner will be taking place at Al Smith’s Place off Secor Rd north of Central Ave. on October 17th. We will having our first Humanist Sunday Salon on October 7th. A salon is a gathering of people under the roof of an inspiring host. It is an important place for the exchange of ideas that hopefully increases the knowledge of the participants through conversation. Humanists believe that all ideas are open to questioning including our own. SHoWLE is also interested in hosting other events and activities. If you have an idea and want to host it send us a note through our contact form and let us know. The only requirements are you need to be a member of the group and the activity or event has some kind of relationship with Humanism. If you aren’t sure just ask the leadership. Even though SHoWLE is still new and growing we have some good programs coming up to finish out 2018. You can join our group or donate money to our group. All contributions are tax deductible.